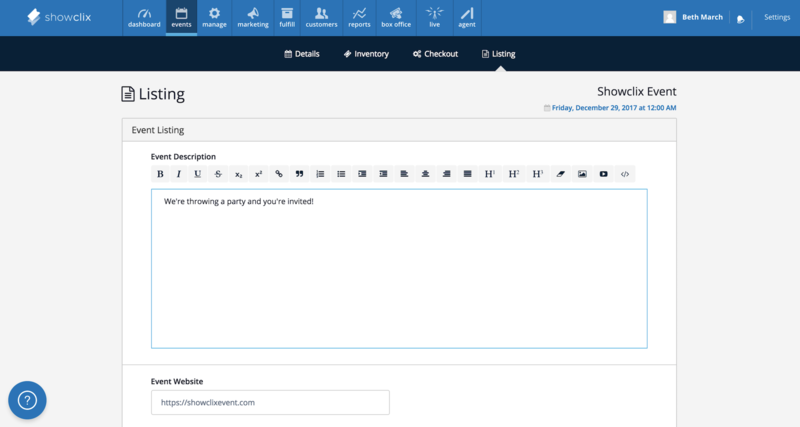 The final step allows you to customize the design and content of the event listing page. Need some tips about how to use the description editor? Try this! Event Website. Add a link back to your website for customers looking for more info. Event Thumbnail. Upload an image to appear above the event description area on the event page. This image will also identify your event in our website's search engine. Select a Template. Select the default ShowClix template or a custom template for the event listing page. Custom templates can be added in manage tab. 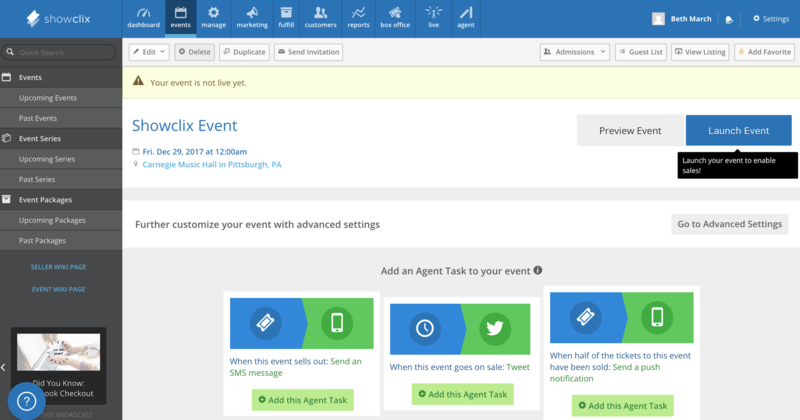 Finally, click Launch Event to launch your event page and enable sales!